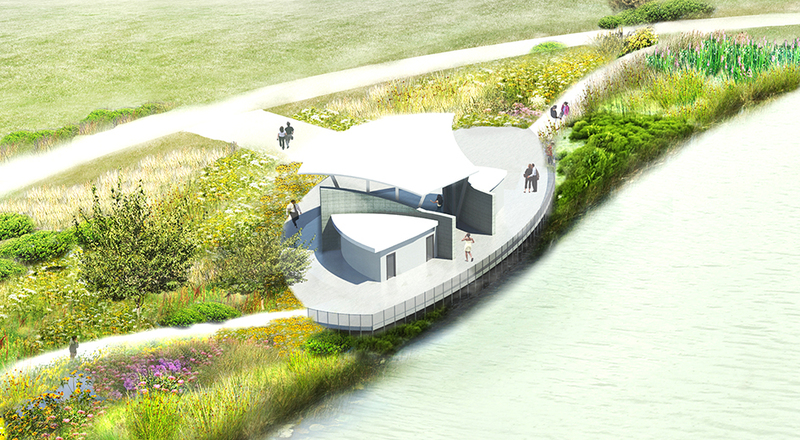 The Heritage Park Flood Control Facility showcases TGDA’s ability to design and implement green infrastructure for water management. Working with AECOM, TGDA developed naturalized planting strategies for proposed flood control measures found in two distinct areas of the approximately 90 acre site: Heritage Lake and Buffalo Creek. 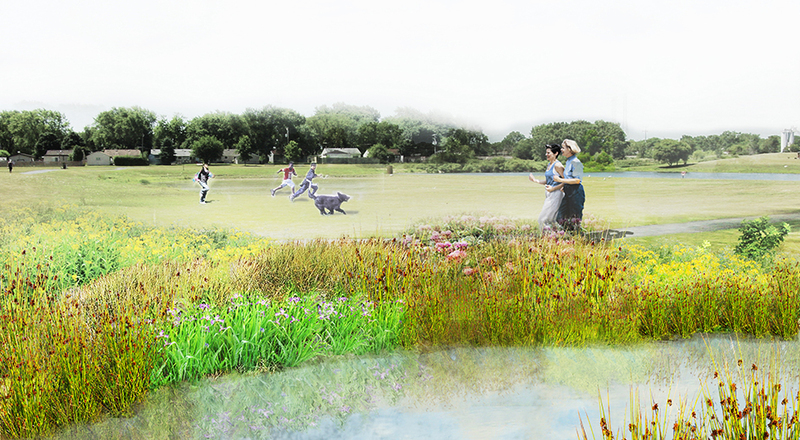 To address regional flooding, the TGDA and AECOM created a new ecologically based channel design for Buffalo Creek. Flood conditions were alleviated through the design of a series of naturalized flood benches, which slow down water flow before the water reaches new overflow basins. 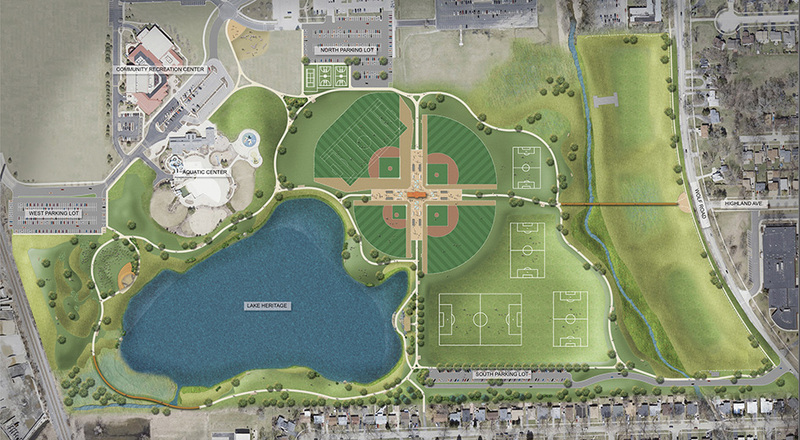 The design for Heritage Lake is different than the one developed for Buffalo Creek based on their specific environmental conditions. 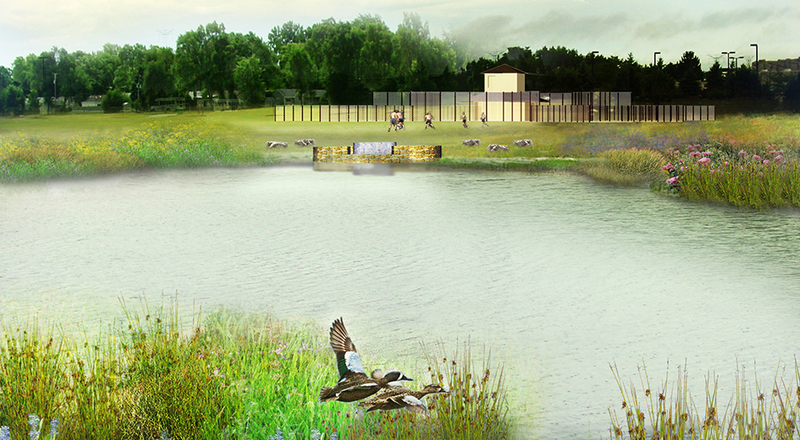 Heritage Lake was designed to be an overflow detention lake with pumps and additional built infrastructure. Due to these interventions the Lake now returns to its baseline water level within 48 hours of a flood event. Despite the use of different design strategies, both Heritage Lake’s and Buffalo Creek’s landscape areas prioritized the use of naturalized seed mixes that can tolerate and thrive during both flood events and typical conditions.